Is there anything as empowering as obtaining new knowledge or skills which helps others? 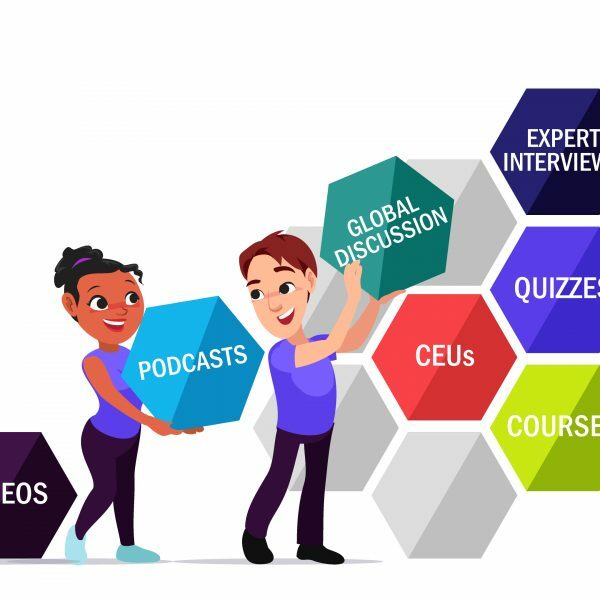 Physiotherapists who take part in Physiopedia courses can choose to complete a final assignment which is designed to cement knowledge and understanding created during the course. During our neck pan course there were some exceptional submissions and one in particular stood out. Kim is a physiotherapist who took part in our Neck Pain Course and she produced a fantastic case study demonstrating the application of what she learned. the limitations and difficulties of treating neck pain in the Caribbean. Read Kim’s Brilliant Case Study! Not only this, Kim has kindly written about her experience participating in the course. Thank you and take it away Kim! I am a UK trained physiotherapist currently working in St Lucia, West Indies. One of the biggest obstacles we face is continuing education and access to courses, journals and publications. Although there is a lot of information online to view full articles can often be expensive and also does not promote discussion with peers to seek out opinions and experience. Physiopedia has changed all of that. I recently joined physiopedia and I signed up for their live Neck Course. This course has changed not only the way I treat neck pain but my whole approach to physiotherapy and seeking out up to date research and clinical trials. When I undertook my undergraduate studies we were taught to be autonomous practitioners and although encouraged to seek out and use evidence based practice we were also encouraged to perfect our clinical reasoning skills. This has been invaluable when treating my patients but more recently I have tended to adopt a symptom based treatment approach. I have found myself assessing clients and using evidence based treatment techniques to bring about improvements. This has worked well and I felt that I was doing a great job until this recent course changed my whole philosophy and approach to treatment and how I now use evidence based practice. So what changed for me? Firstly it was the ability to do an online course with peer interaction. This helped me to learn from people all over the world and it was evident that sometimes our treatment choices have to take into consideration our resources, which are sometimes very limited. Secondly the course made it easy to search the research but it was also presented in simple to understand language. The original research articles were often available but they had been reviewed and presented in such a way that putting the evidence into practice was simple. I have always had good results but changing my practice, based on current research, using treatment protocols has improved treatment outcome and client satisfaction. As I mentioned earlier prior to the course I would choose my treatment based on symptoms; so if somebody presented with stiffness I would use maitland mobilisations to reduce stiffness and increase range. For pain I would often use electrotherapy or acupuncture. For radicular symptoms I would use Upper Limb Neural Stretches with mobilisations and strengthening exercises. More often I would use a combination of all of the above as in my experience many of these symptoms would not present individually but together. I had never considered treatment based protocols defined by condition. My education had taught me to treat clients as individuals and not as a condition. However, this evidence was presented so differently. Four areas have been identified and depending on symptoms and assessment treatment protocols have been devised. These protocols are based on clinical trials and research. I have to admit at first I was not convinced but after putting it into practice I can say that the results are amazing. Whilst undertaking the course a client presented in my clinic who had previously attended for neck pain. She had been suffering with neck pain for over 10 years and on discharge she had improved range and less pain. However, the symptoms returned and she decided to undergo laser surgery. She was expecting to be pain free and have full range after surgery but that was not the case and although her neural symptoms had reduced slightly they were still present. I used the knowledge gained on the course and based her treatment programme on the evidence presented. The outcome was far better than the first course of treatment and much shorter. It is difficult to say if this was based on the new approach or the fact that she had also had surgery but keen to put my new knowledge into practice I made sure that each client that I assessed with neck pain was assessed and treated using the evidence and treatment protocols presented on the course. Although the numbers were small and would not be enough to use in a research study my personal experience was that each client had improved outcomes and over a shorter period of time than I had previously experienced. I also found compliance with home exercise programmes was higher, I feel this in part was due to using electrotherapy and acupuncture less often. To sum all this up I found physiopedia course to be a great resource to review, study, improve and test my anatomy. An absolutely invaluable resource to find the best evidence; it reviewed all the relevant sources and presented them in an easy to understand format and all in one place. I would recommend these online courses to all physiotherapists whether in well developed and modern countries or in developing countries. If you want to share your story after participating in a Physiopedia course get in touch! The case study really highlights the benefits of taking part in a Physiopedia course. The courses are grounded in the latest evidence and expert understanding, they are clinically relevant and they are focused on improving outcomes for your patients. At Physiopedia we aim to make CPD simple! Physioplus provides everything you need to learn and professionally develop, giving you one place to go for all your career needs.